the most exciting trilogies in boxing history. the accident which killed his father when he was two years old, Tony became a shy and withdrawn young boy. 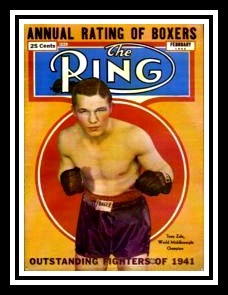 and shyness by proving himself in the ring. his retirement from the world of professional boxing. well as the Chicago Parks Department boxing program. 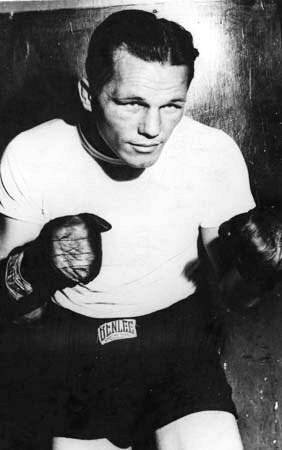 fortitude he exhibited during his boxing career. you may also VISIT OUR "PURCHASE NOW" PAGE to order. 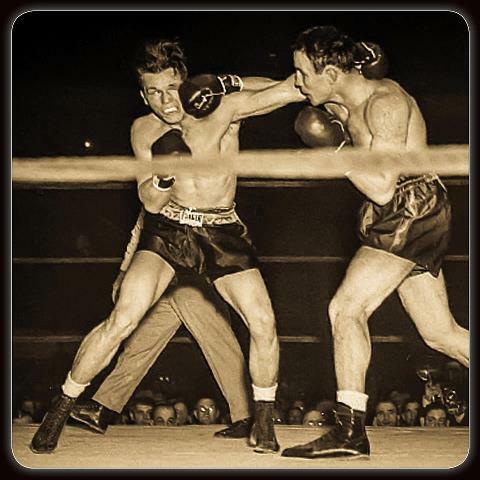 Tony and Rocky Graziano in their 3rd fight. 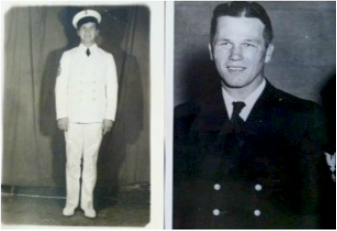 June of 1948. Tony regained his championship with this defeat. 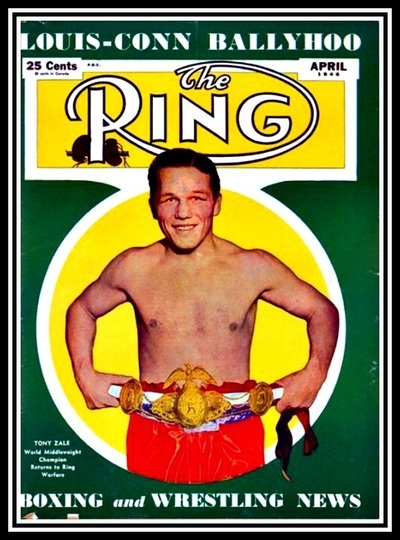 The first time that had been done since 1918 when another Polish fighter, Stanley Ketchel, regained his title. 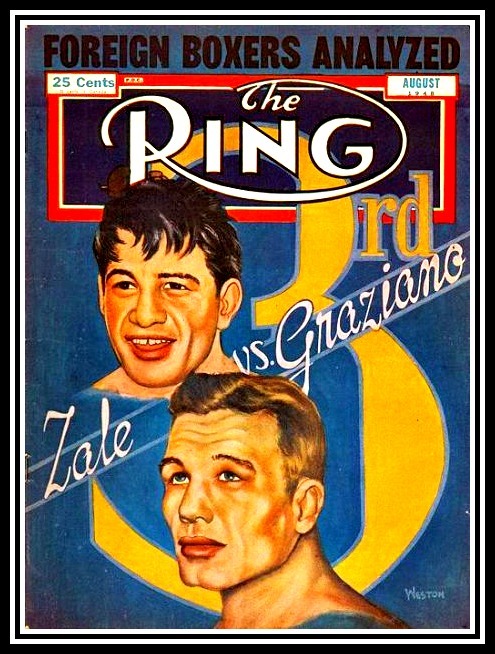 Tony Zale vs. Georgie Abrams on 11-28-41. Tony and Abrams went for 15 rounds with Tony winning by points. 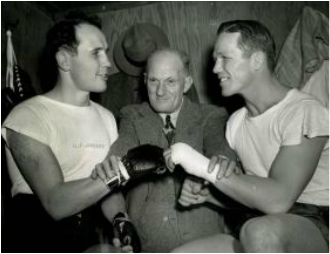 Tony and Marcel Cerdan. September 1948. Not many knew what turmoil was going on in Tony's life at this time. 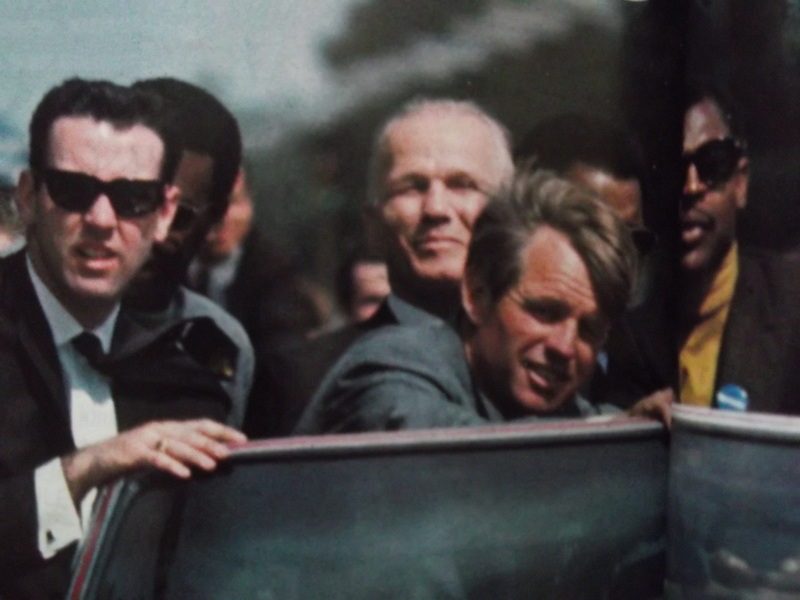 Tony is shown campaigning in Gary, Indiana, for Bobby Kennedy in April of 1968, two months before he was assassinated. 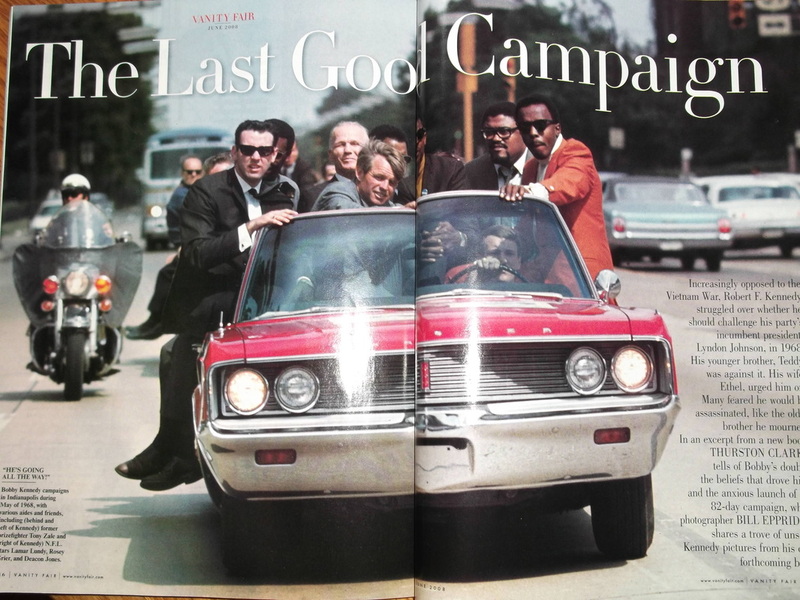 Photo Courtesy of Vanity Fair Magazine. 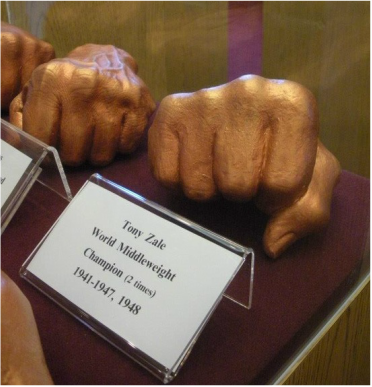 Tony's fist cast in bronze on display at the International Boxing Hall of Fame in Canastota, NY. Tony was inducted in the Class of 1991. This beautiful championship belt was on display at the IBHOF museum until November 5th when both of Tony's championship belts were stolen from their display case. 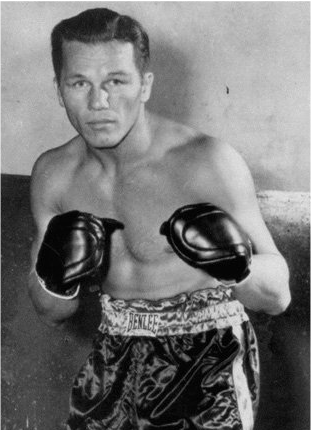 Tony won this belt for his win over Al Hostak in 1941. Tony's championship belts were proudly displayed at the entrance of the International Boxing Hall of Fame located in Canastota, NY, just outside of Syracuse. He has three belts, but the whereabouts of the third belt is unknown. Unfortunately, on November 5, 2015, there was a 3 am break-in at the IBHOF museum which resulted in the theft of these two championship belts seen here. Along with these belts, four belts from champion Carmen Basilio that were also on display were stolen as well. We are hopeful that someday these belts will be returned to the families. 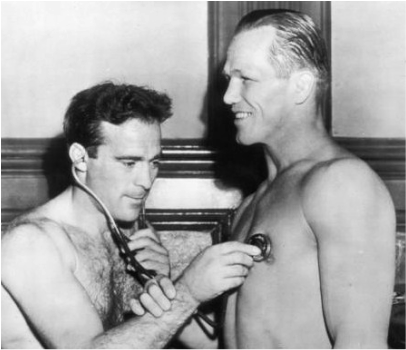 Tony seen here with Marcel Cerdan in 1948. Tony seen here with the great ring announcer Jimmy Lennon, Sr. at his induction ceremony into the World Boxing Hall of Fame. Tony seen here with family members at the induction ceremony for the Gary Hall of Fame. 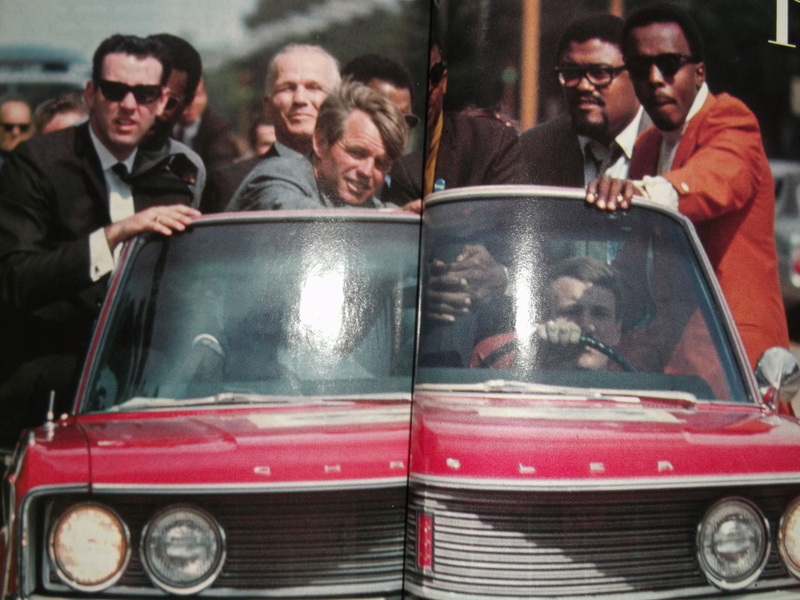 Tony seen here with his good friend and fellow Gary, Indiana, native, Hank Stram. 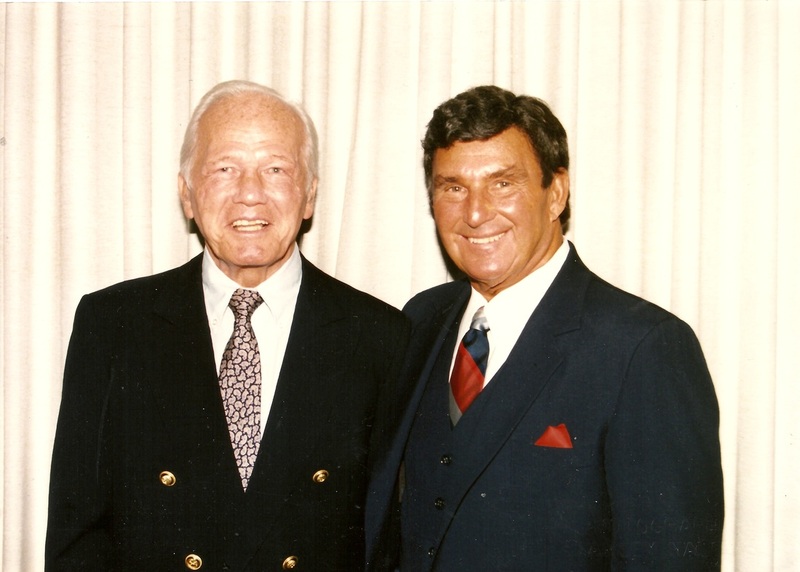 For many years, Tony and Hank were the hosts for the Silver Bell Club's annual college scholarship fundraiser for high school youth of Polish and Slavik descent. Tony and Hank Stram were both born and raised in Gary, Indiana. 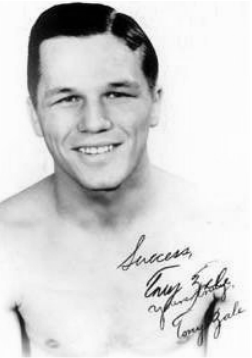 Hank's father, Henry Wilczek, was a very devoted mentor to Tony in his young boxing days. They were like family.